Several young Albertans are among the 60 players attending the 2011 Mizuno Camp which is running from Wednesday September 7th to Saturday the 10th at the Rogers Centre in Toronto. sessions each day while being instructed by some excellent coaches including National Team Coach Greg Hamilton, members of the Blue Jays coaching staff and former MLB players, but they will also attending Life Skill Seminars where they will learn about scouting, college recruitment process and life in the minors among other things, presented by experts in the respective fields. They will also partake in some fun activities, getting to attend some Blue Jays games, and the camp will conclude with a game where the players will get the opportunity to play on the same field where they watched professionals play. 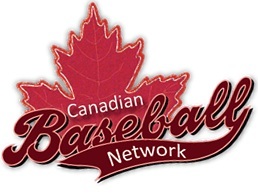 The camp is being hosted by MLB, Baseball Canada, Mizuno and the Blue Jays. More details on the camp are available on this IBAF press release.